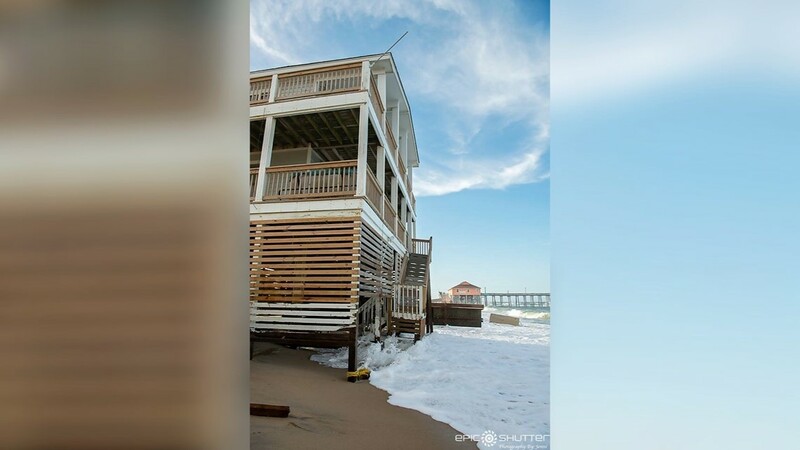 Even though Tropical Storm Chris is 200 miles off the North Carolina coast, several homes in Rodanthe are feeling the brunt of Mother Nature. 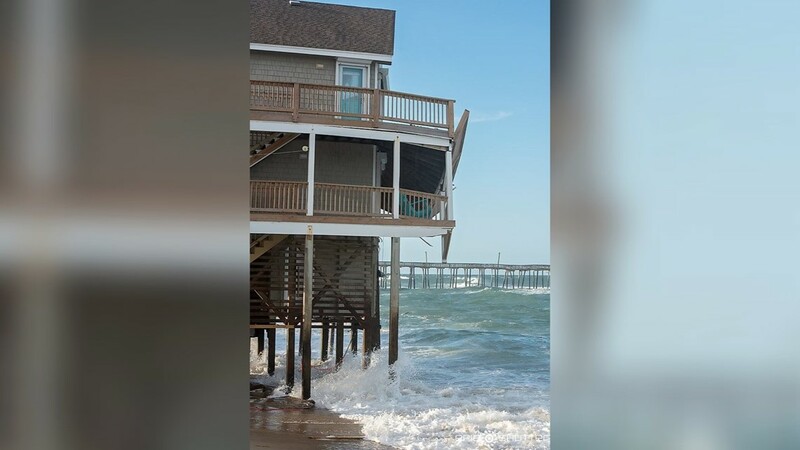 RODANTHE, N.C. – Even though Tropical Storm Chris is 200 miles off the North Carolina coast, several homes in Rodanthe are feeling the brunt of Mother Nature. 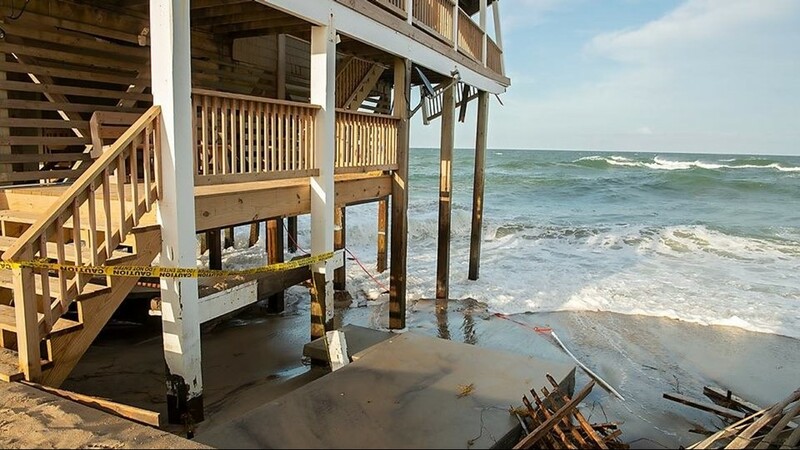 Photographer Jenni Koontz with Epic Shutter Photography captured photos and video of several beachfront homes with caution tape around decks that were collapsed and scattered along the shoreline. 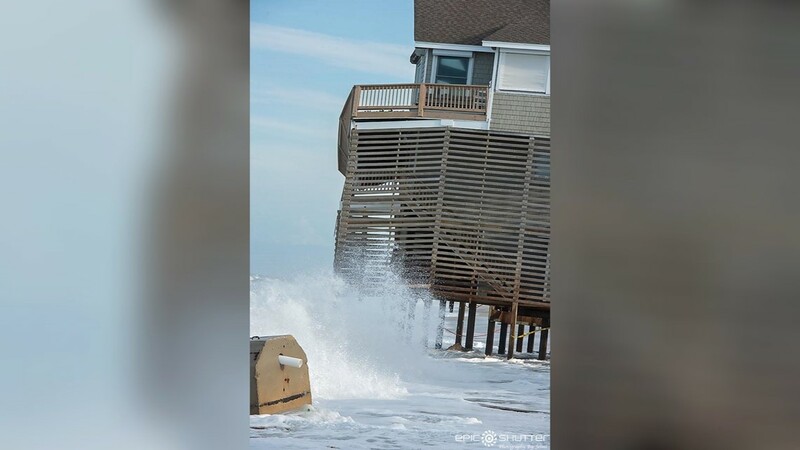 According to the National Hurricane Center, Chris’ 70-mph winds can be felt as far as 70 miles from the storm’s center, which is approximately 200 miles south-southeast of Cape Hatteras. 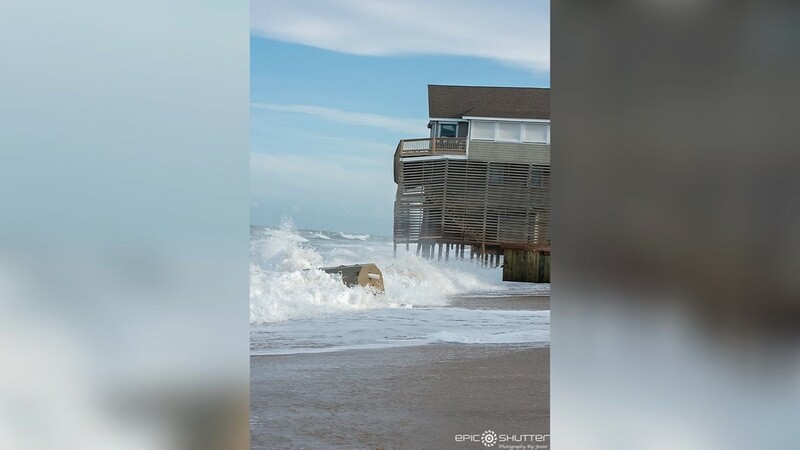 Chris is expected to become a hurricane at some point Tuesday as it moves over warm waters in the Atlantic. 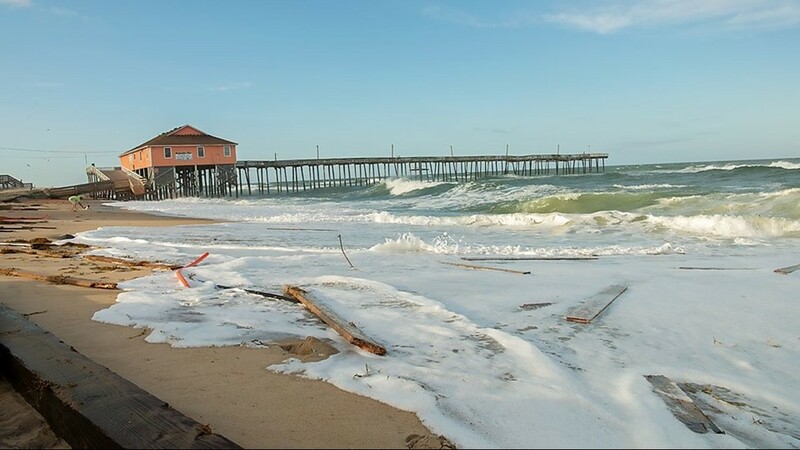 Forecasters expect even more strengthening before Chris pushes off to sea later this week. 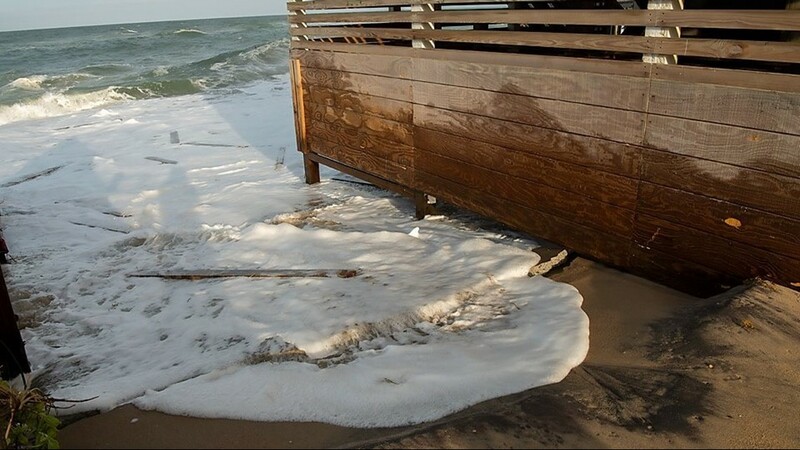 Fortunately, the storm won’t bring heavy rain or damaging winds to the mainland, however, dangerous rip currents and heavy surf will be felt for the next few days. 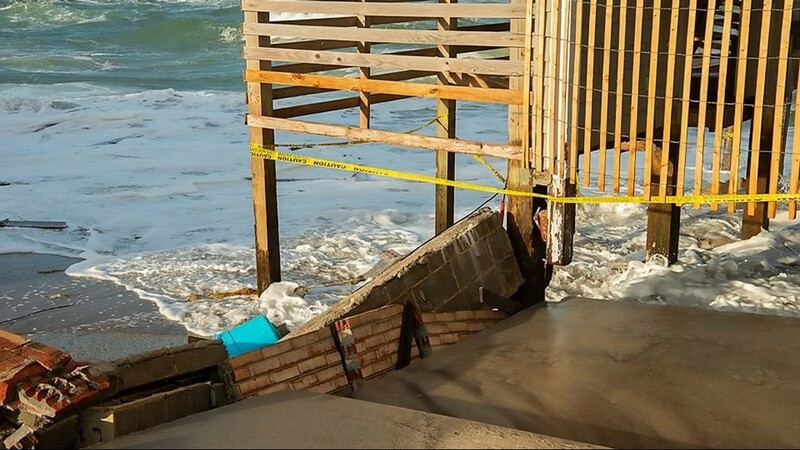 Click here to see more photos from the coast.